I can't even tell you how happy I am. After almost 2 years of attempting to get my 4th son to go on the potty, we have achieved the moment we have been waiting for. He is potty trained! While we started so long ago with him sitting on the potty and sometimes going, we just now -- as of last week -- have him consistently going number one and number two on the toilet. We have had so many accidents with trying to get him to go. I though we would never get there. He turns 4 on Wednesday, so I guess I shouldn't be surprised. All of my other boys were either almost 4, or just turned 4 when they mastered the art of the potty. But I was really starting to worry. I have an 8-month-old in diapers, so I was hoping to get down to just one in diapers very soon. Now, we can enjoy the summer with disposable training pants, something I am very excited about. For now, we are using Pampers Easy Ups, which are absorbent like a diaper for when Marcus forgets to go potty, falls asleep, or doesn't feel well. This is awesome, because so many training pants leak overnight. 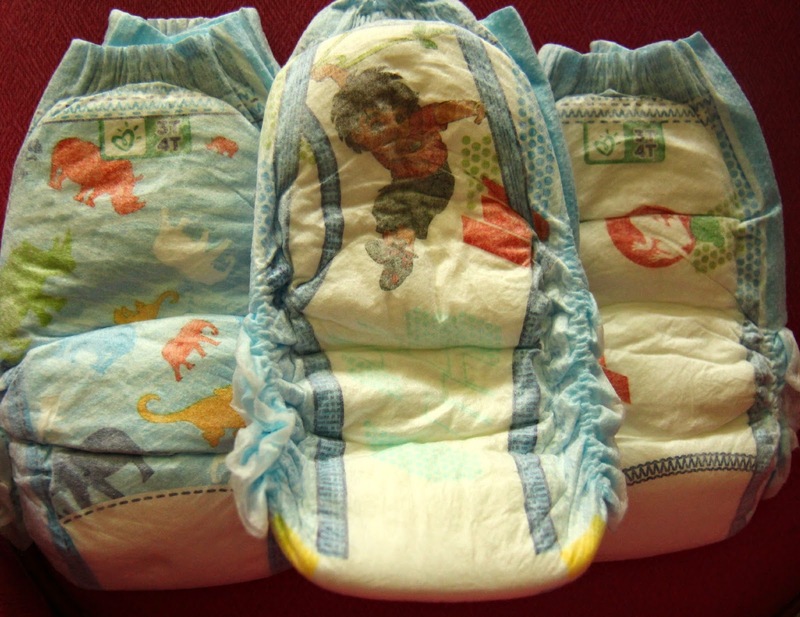 They also look more like underwear, which means Marcus calls them "underwear" and prefers them over the large diapers we have in the closet that we need to use up. Right now, he isn't very familiar with Diego, the character on his Easy Ups, but he does love the animal designs on the back of the pants. We have had a reason to celebrate for about a week now, but with a birthday coming up, we'll have DOUBLE reason to celebrate! Do you want to celebrate with your new potty trainer? We have a super amazing prize pack for one lucky reader. Check it out below! Wanna Win? 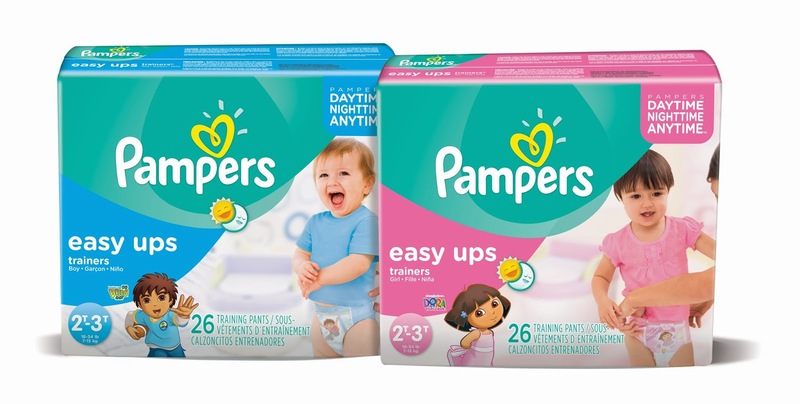 We are giving away a fun prize pack here on the blog that includes: a 100 ct box of Pampers Easy Ups, a Portable Potty, and Fun items to kick off Summer for your child! Value is over $100! To be entered to win, just comment on this post with your potty training tricks or tips. You have until June 20th at 11:59 pm CST to get your entries in. One entry per person, please.